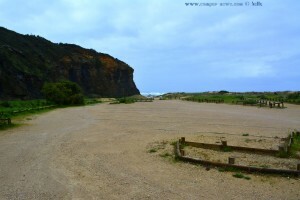 Parking on Grit directly at the Beach „Praia das Furnas“. The 1st Parking is for Camper – the 2nd and the 3rd not – but we stayed on the 3rd one and the Guarda Nacional Republicana (GNR) said nothing. This Parking is inside a Natural Parque (Parque Natural do Sudoeste Alentejano e Costa Vicentina). Tents are forbidden, Campers are allowed. This Articel was read 937 times! Dieser Beitrag wurde in Countries, Free Camping - Wild Camping, GPS, Portugal, Travel-Facts veröffentlicht und mit Alentejo, Beja, CampingCar, Coast, Freistehen mit dem Wohnmobil, Küste, Mediterranean Coast, Meer, Mittelmeer, Motorhome, Odemira, Parking at Praia das Furnas - Unnamed Road - Vila Nova de Milfontes – Portugal – March 2017, Parking for Camper at Praia das Furnas - Portugal, Parque Natural do Sudoeste Alentejano e Costa Vicentina, Portogallo, Portugal, Praia das Furnas - Unnamed Road - Vila Nova de Milfontes - Portugal, Praia das Furnas – Portugal, Reise, Reisen, Reisen im Wohnmobil, Reisen im Womo, Reisen in Portugal, Reisen in Portugal mit dem Wohnmobil, Reisen mit dem WoMo in Portugal, Río Mira - Praia das Furnas – Portugal, Travel, Travel in Portugal, Travel with a Camping Car, Travel with a CampingCar, Travel with the Camping Car in Portugal, Travel with the CampingCar in Portugal, Travel with the Motorhome, Travel with the MotorHome in Portugal, Unser Camper getaggt.